Hardcover - 256 pages - This is the first book to give a comprehensive account of the entire design career of legendary aircraft designer Reginald J. Mitchell. 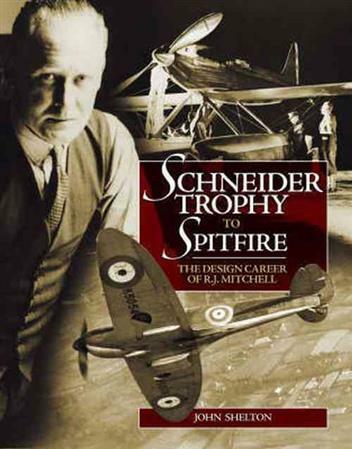 Renowned as the creator of the iconic Supermarine Spitfire fighter, Mitchell was also responsible for the sleek record-breaking seaplane aircraft that won outright the Schneider Trophy in 1931, and other classic designs such as the Stranraer and Southampton flying boats. John Shelton examines Mitchell's 28 designs and recounts how each of his aircraft emerged in response to contemporary requirements and to prevailing design philosophies. Colour & black / white Illustrations.